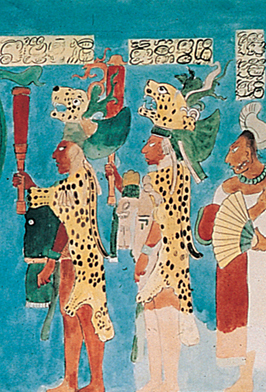 Popol Vuh, the Quiche Mayan book of creation is an amazing document that has survived against all odds and contains a trove of amazing stories and myths. The world of the Maya comes vividly to life in these stories which reference not only religious beliefs and cultural traditions, but also small details of daily living among the Maya. Schools studying the Maya often arrange for an assembly performance of excerpts from Popol Vuh followed by small group workshops on the history of the story and its rediscovery.